Welcome to Vegreville, Alberta, a beautiful small town with a close-knit community vibe. Considering moving to Vegreville, or are you just settling in? Ayre and Oxford has all the information you need to get to know this great town. This small town is full of diversity! Its population, just under 6,000, is comprised of different ethnic groups, the largest being English, French, German, and Ukrainian. Everyone here works together to create a welcoming and friendly town. Shopping here includes a Walmart Superstore, Canadian Tire, small retailers, and unique boutiques. Some of our favourite restaurants include Boston Pizza, Leonel's Place, Vito's Steak & Pizza House, and the Old School Diner. Community interests include Capital Theatre, Vegreville Regional Museum, and the Kinsmen Golf Course. Vegreville is an agricultural town where nature flourishes. Explore nature at the Rotary Peace Park, fish at the Rainbow Park Reservoir, camp at the Vegreville Municipal Campground, or hike along the Community Link Trail System. Stay cool at the Lion's Club Community Spray Park and Playground, or head to the Vegreville Aquatic and Fitness Centre for swimming, sports, programs, and activities. 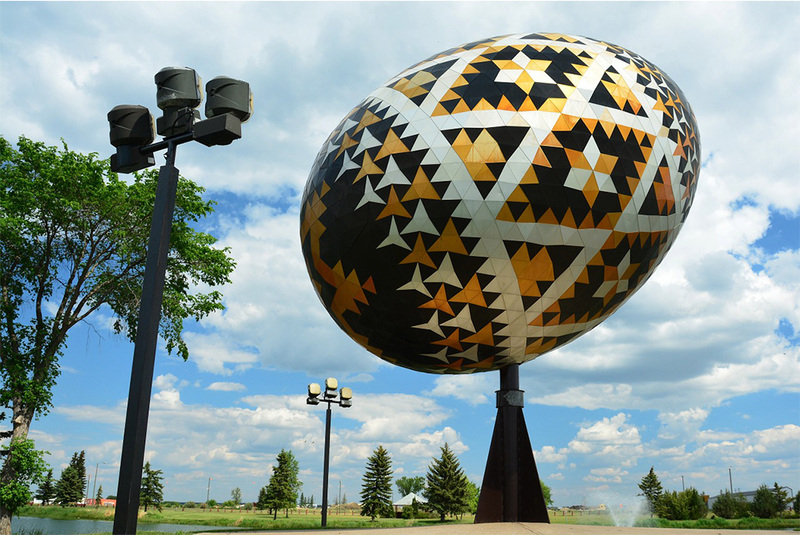 Learn about tradition when visiting the Pysanka, the largest Ukrainian Easter Egg in the world, located at Elk's Park. Each July, the town celebrates the Ukrainian culture with the Ukrainian Pysanka Festival at the park. Other great events include the Vegreville Country Fair, a Father's Day Demo Derby, and Christmas Light up and Parade. One of the best ways to get to know this wonderful and friendly town is by taking a historical walk through Vegreville. Along your historical walk through town, you'll learn about the town's past and discover its beauty first hand. You may even meet a friend along the way! If you haven't found your Vegreville apartment yet, contact us to view our suites today!